Note that many of these exports have a “wrench” icon that allows you to set options before exporting for the first time. Also note that most of these exports require that you add in the employee number in W2W for each employee to match the number you have entered for them in your third party program. 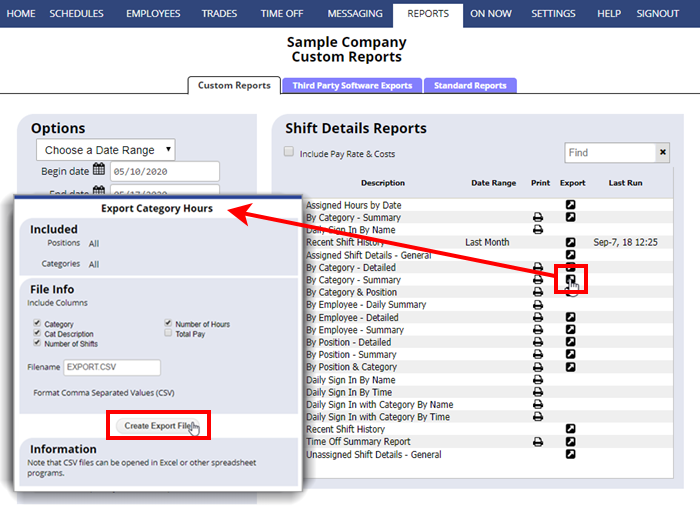 Most exports are in csv format which can be opened in spreadsheet programs.